Vivo offering some exciting deals in its wide range of smartphone and accessories under Terrific Thursday offers. All you need to know. 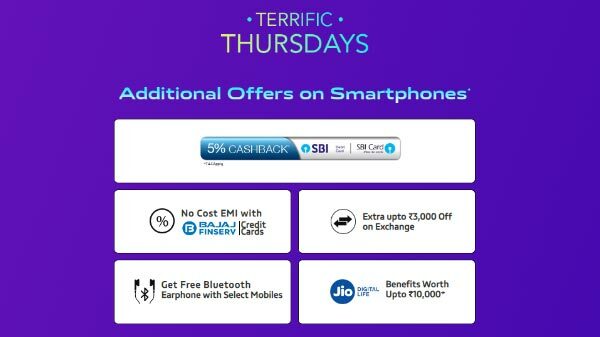 Vivo announces Terrific Thursday offers on its wide range of smartphones and accessories starting today. 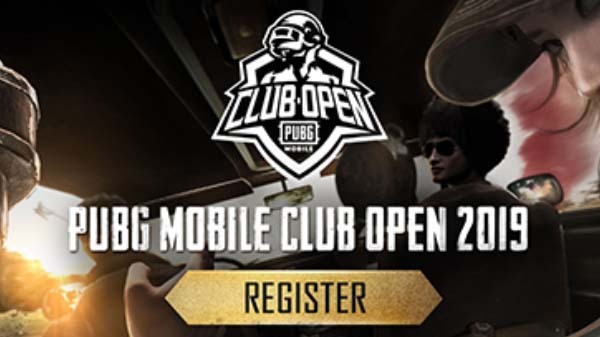 So if you are planning to buy a Vivo phone then this is the best time to grab one. Under the offer, the company is offering 5 per cent cashback on SBI debit credit card transaction. Buyers can also opt for the No-Cost EMI option with SBI debit credit card, Baja Finserv, and other popular banks. In addition, buyers can also avail an exchange value of up to Rs 3000 on some selected smartphones by exchanging their old ones. 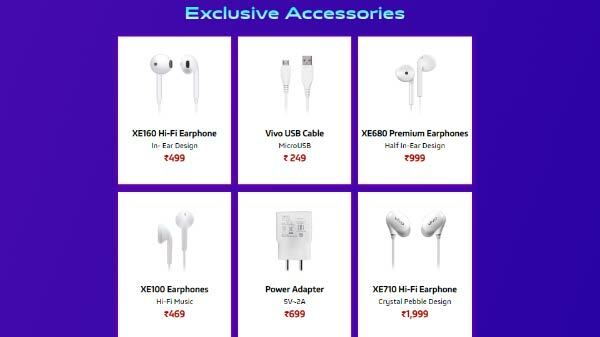 Apart from all these Vivo is also offering free Bluetooth earphones with some selected smartphones. Following are the eligible Vivo smartphones available for exchange. Vivo V15 Pro: Listed for Rs 28,990 down from Rs 32,990 with Rs 3,000 exchange value. Vivo V15: Listed for Rs 23,990 down from Rs 26,990 with Rs 3,000 exchange value. Vivo V11: Listed for Rs 19,990 down from 24,990 with Rs 3,000 exchange value. Vivo Y95: Listed for Rs 14,990 down from 18,990 with Rs 3,000 exchange value. Vivo V9 Pro: Starting at Rs 14,990 with an extra Rs 1,000 off on exchange. Y93: Starting at Rs 11,990 with an extra Rs 1,000 off on exchange. 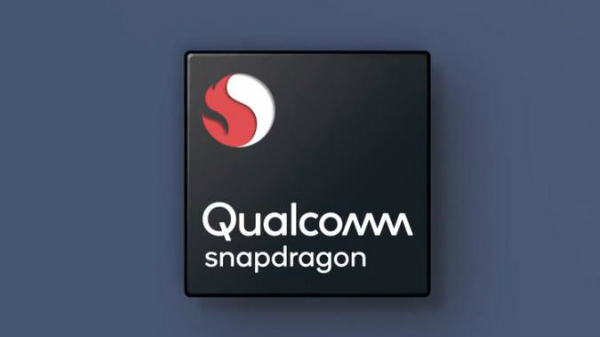 Y91i: Starting at Rs 7,990 with an extra Rs 750 off on exchange. Under hot deals, Vivo is offering Vivo V9 for Rs 13,990 down from 23,990, and Vivo V7 is listed for Rs 9,990 down from Rs 19,990. Vivo V7+ is listed for Rs 10,990 and the Y81i is up for grabs at Rs 7,990. 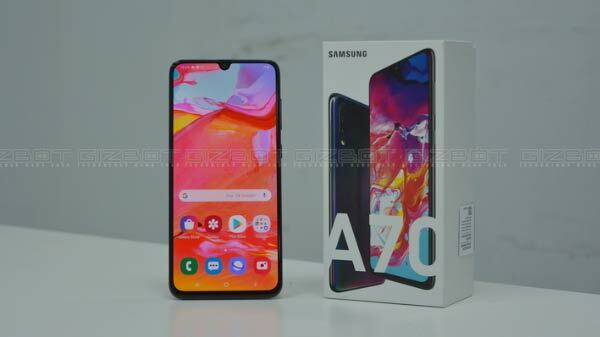 The company is also offering huge deals on accessories and here is the list of accessories which comes under the Terrific Thursday offers. XE160 Hi-Fi Earphones are listed for Rs 499. Vivo Micro USB Cable is listed for Rs 249. XE680 Premium Earphones is listed for Rs 999. Vivo XE100 Earphones is listed for Rs 469. Vivo Power Adapter is listed for Rs 699. XE710 Hi-FiEarphone is listed for Rs 1,999.